I am extremely pleased to announce that Linen Ray has launched their new website at linenray.com. 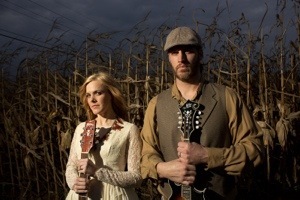 Linen Ray is the musical duo of Rebekah and Gabriel Craft. Both members of the husband and wife team have a rich individual history with music, and their musical distinctness comes through in their collaboration. I was able to help Gabriel and Rebekah in recording and engineering some of the music on the site, including contributing electric guitar and programming. I also shot their promotional and behind-the-scenes photographs. Please take a look!